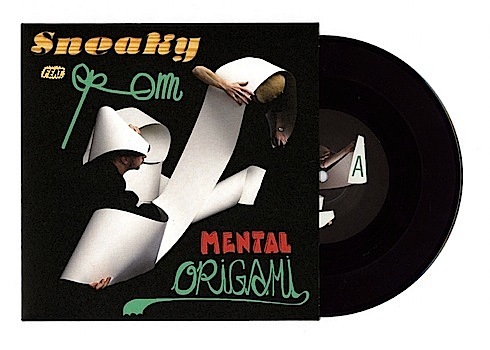 When SIMON HOUGHTON aka SNEAKY from FINGATHING came by our office to brief us on the cover artwork for his MENTAL ORIGAMI 7″ we knew that taking the obvious origami route was out of the question. However, we also knew that we couldn’t avoid referencing the art of folding paper completely, since it in the title itself. The solution we found was to magnify origami art to macro proportions and insert the artists into this world. We invited the talented photographer and good friend FLORIAN BÜTTNER to take the pictures at the session. 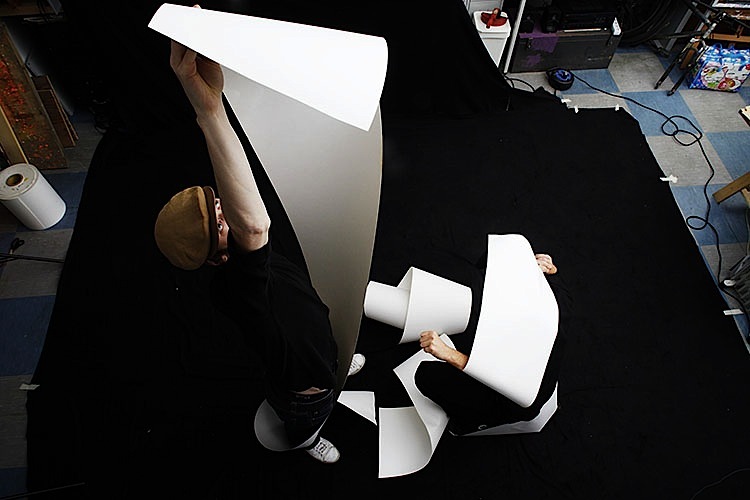 We filled the studio with colossal sheets of paper and had SNEAKY and RQM play with them while we shot them from above against a solid black background. 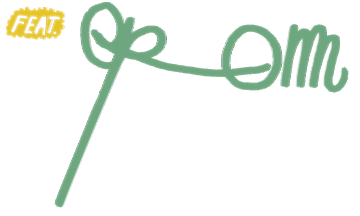 After sorting out the final images we added a playfully colorful hand drawn text to lighten things up a bit.